That’s a great question, glad you asked. 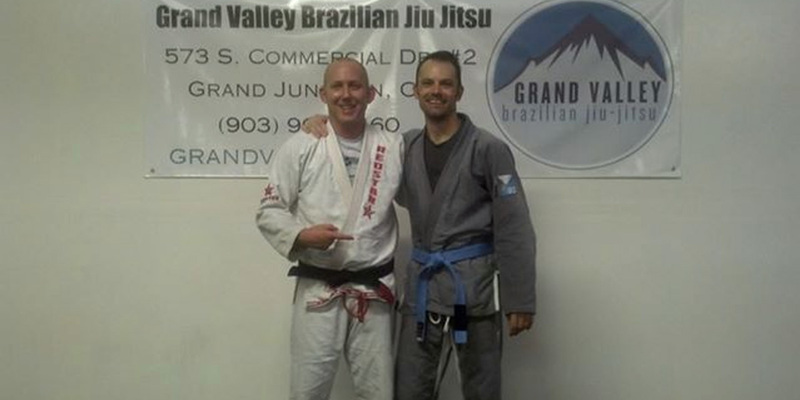 First, let me introduce myself – my name is James Wilson and I am a newbie to the BJJ scene. As I write this I just got the 4th stripe on my white belt and I have about 9 months experience on the mats. 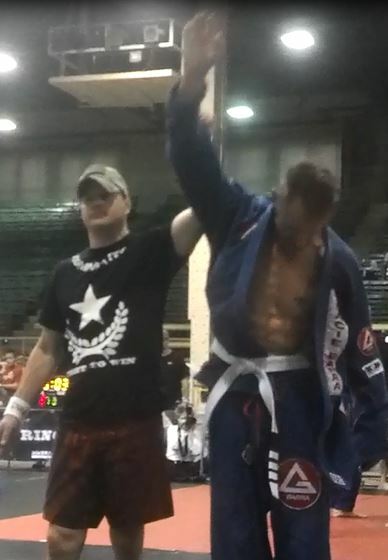 I didn’t come into BJJ with any type of grappling background and I am certainly not a phenom on the mats. So with that not-so-rousing inttroduction why would you care what I have to say? Well, before I stepped onto the mats and became a white belt at something new I have been leading a very different life. And it is my experiences there that should be of interest to you if you want to know the secrets to improving your fitness and skills in BJJ. You see, since 2000 I’ve been working on my “black belt” in mountain biking…and not the “lets throw on some spandex shorts, jack our seats up as high as we can and go pedal for 4 hours” variety. 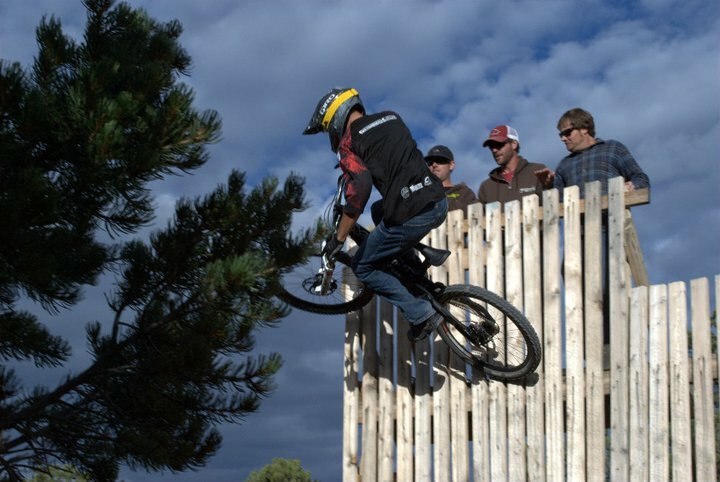 No, I’m talking the 40 foot double jumping, 20 foot cliff hucking “you must be crazy” kind of riding. Don’t get me wrong, I still pedal a lot and have logged some 6 hour epics in the mountains of Colorado but I really ride for the thrill of finding something that scares me a little and forces me to see what I’m made of on some level. What’s more, since 2005 I’ve been helping other riders through the strength and conditioning programs I’ve created. I’ve worked with some of the top teams and riders in the world and my programs have been featured in the top magazines and websites. I’ve been quoted in Men’s Health as a guest expert and I also contributed to an international best selling book. In other words, I know a thing or two about helping people get the most out of their training programs. In November of last year I finally got the opportunity to start taking BJJ classes. I had done martial arts as a kid and wanted to get back into it when I had the chance. I think like most guys my age the impression Royce Gracie made in the original UFCs led me to want to check out BJJ. 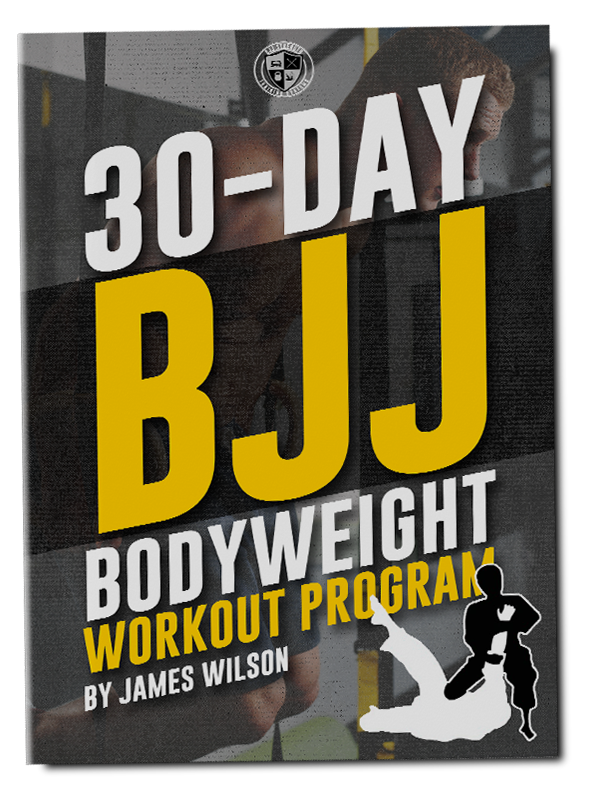 The martial art I studied in high school always left me wondering if the punches and kicks would really work in a fight and those UFC fights – and the success of BJJ since – told me that was what I wanted to study. So I found a school, signed up and have been hooked ever since. I’ll spend 4-6 days a week training and I also volunteer to help coach my little girl’s class as well (love working with the kids BTW). And while I’ve had plenty of struggles and already been tapped out far more times that I can count I’ve also picked things up pretty quickly and progressed reasonably well for a 37 year old with no prior experience thanks to the nature of the training programs I created for mountain biking. You see, I base my training programs on improving the quality of my movement as well as how much I can do. 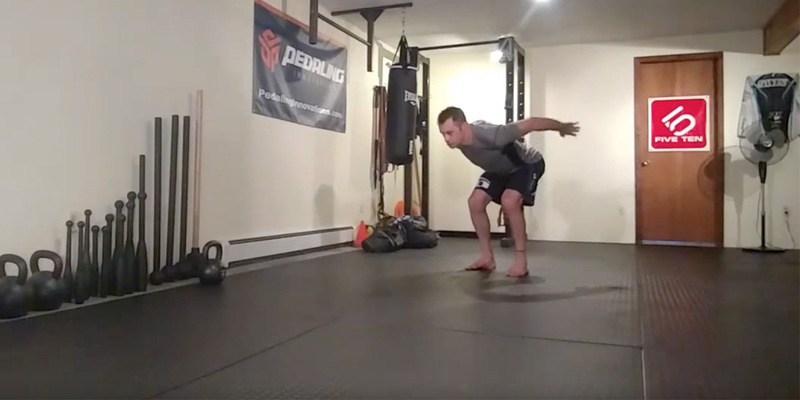 Instead of developing a few movements to a high level I train to stay balanced and athletic, which pays off when trying to learn new skills both on the bike and on the mat. I also saw the same problems with my fellow BJJ classmates that I saw with some of the mountain bike riders I was helping, namely a lack of movement skill and body awareness. This makes learning and remembering new techniques much harder and needs to be fixed before you can apply them to specific techniques. 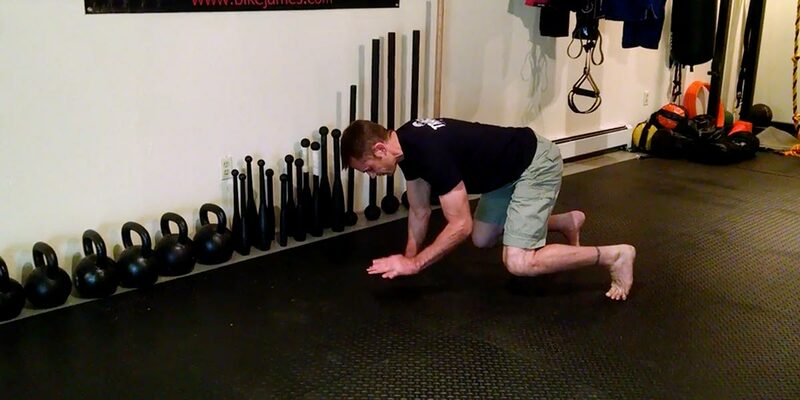 So I started BJJ Strength Training Systems to help spread the word about how a good strength and conditioning program can help not only your fitness but your technique and skills on the mat as well. Now, this is the point where I also need to explain something that may sound a bit funny coming from a strength training professional – I do not like to spend hours in the gym. 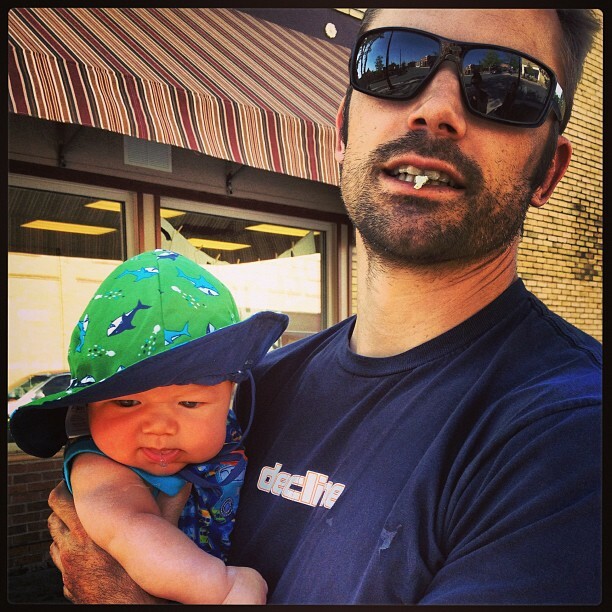 In fact, if I could take a pill and get the same benefits I would – I would much rather be on the mat training or hanging out with my little girl Shilo and my little boy Z. But, I also know that the training helps me roll longer and harder. Whenever I slack a bit on my training I inevitably feel it in few weeks – my legs feel tired and heavy, my low back starts to get sore, my left knee starts talking to me again and I generally don’t have the same energy and drive to roll as much as I usually do. So, I design my programs to deliver max results in minimal time, all while keeping things as fun and engaging as possible. My programs are written by someone who knows you’d rather be rolling too, not spending hours in the gym. I started this blog to help me get my cutting edge, revolutionary training concepts out to my fellow BJJ enthusiasts. 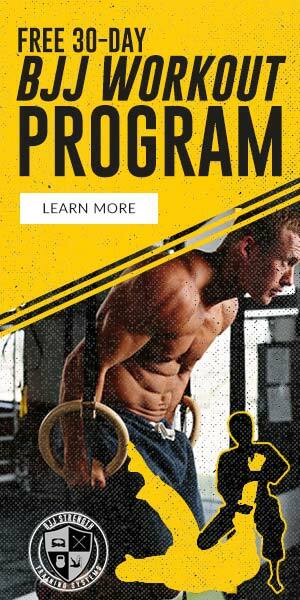 Here you’ll find training routines, rehab strategies, cardio programs and other information not available anywhere else. Some of my colleagues wonder why I give away so much info for free but I don’t care. I want to help you be a better BJJ player – end of story. I know that if you use the information you’ll find on this blog you will do just that. I also know that once you see what this free info will do for you then you will be more likely to check out one of my more in depth programs; but even if you don’t that’s alright. Just knowing that I am helping advance our sport into the 21st Century in enough. So check back often since the revolution never stops! I’ll be posting new articles, videos and podcasts every week, making this the best BJJ strength and conditioning website. And let me know if you don’t see something addressed on here that you want to know more about – I rely on you guys to let me know what is on your mind and what you want to improve with your rolling. Well, that’s about it. It is time to go and hit the mats for some training and rolling. 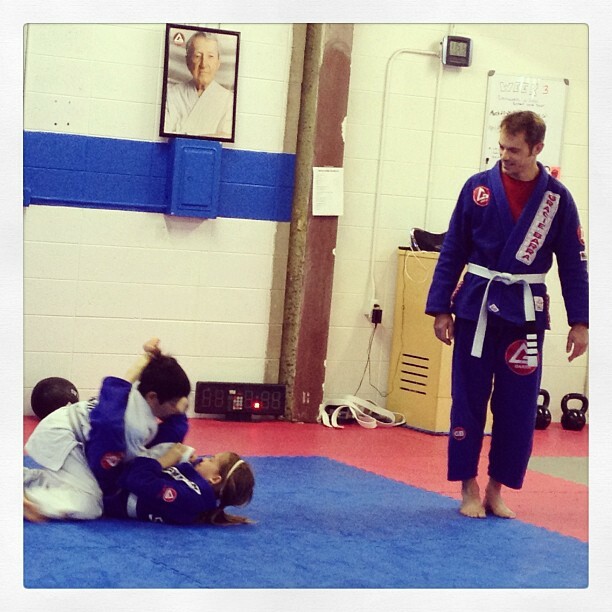 Get out and ride roll today if you can – having fun on the mats is what the BJJ Strength Training System is all about! The Bretzel Stretch – One of the best total body streches for the BJJ player.